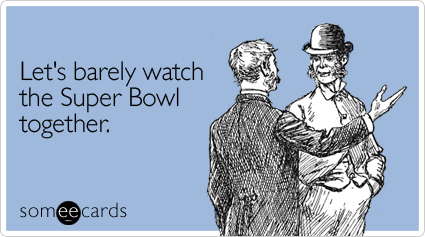 With the 2015 NFL Super Bowl just over a week away, I thought I’d help out all my little sippers out there, that might not be a fan of the sport, and perhaps find themselves invited to a big game party. Here’s some ways you can enjoy the game, while not exactly enjoying the game! The choice of entertainment for each year’s big game opens up great debate. Usually, in the end, whichever act has been invited to perform puts on a good show and everyone walks away happy. This year, viewers will be treated to the musical stylings of Katy Perry, who had a massive year in 2014 with hits like “Roar” and “Dark Horse”. Perry will be joined by Lenny Kravitz, which will at least add a rock element to the show. Let’s hope we get a repeat of 2004 and if you’re lucky, you might even get to see some boobies! Whether you’ve got money on the line in Vegas, between friends, or in some kind of office pool, it seems that betting on the big game is as essential as which beer you’re going to bring to the affair. Prop bets have also become really big with each passing Super Bowl. These include wagers on everything surrounding the game, from the national anthem, to what coaches will wear, to what colour Gatorade will be dumped on the winning bench boss. If you play your cards right, you might bring home enough cash to cover your food and drink losses! Speaking of edibles, the Super Bowl offers a myriad of snacking choices and it’s certainly a day you don’t want to be inhibited by any diets or cleanses. The dip options alone, are enough to make your head spin. And what goes best with most dips? Well, chips, naturally. We all know that the Sip Advisor is a chippy fiend and I’ll use any excuse to stock up on as many bags as I can fit into our cupboards. Hell, most years I don’t even watch the game, but make it a point to do a little shopping spree prior, and then I just let it ride until the stock has been depleted! Food and drink go hand-in-hand, but the Sip Advisor has always leaned towards liquid nourishment. When hosting or attending a party, it’s tough choosing what to stock your or your buddy’s fridge with. While beer is a natural choice for watching sports, there are a number of other options available and the cocktail revolution has allowed for something to be available to everyone. As for brew options, treat yourself. Don’t settle for the easy choices, like Budweiser (or Canadian for us fans north of the border) and instead, grab a case of craft brew and be a true beer snob! For some people, the only reason they tune into the game, is to watch the enormously expensive commercials that break the program up. Each year, there is a set of memorable ads that become an extension of the game. Did you know that the Wendy’s “Where’s the Beef” campaign started with a Super Bowl spot? Then there’s also perennial top contender Budweiser. The company has used both the Clydesdales and Wassup guys for a number of outstanding adverts, regardless of how you feel about the actual product or company. 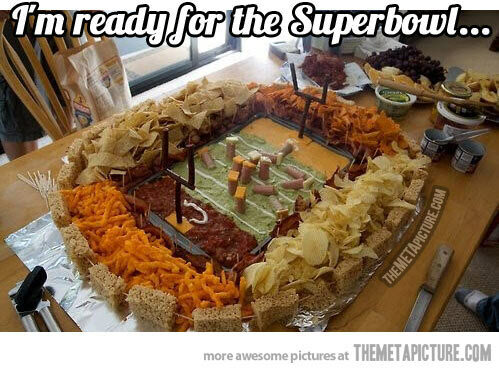 What other tactics can we share together to help anti-football fans make it through the Super Bowl? If it’s any consolation, at least it only occurs once each year, not like all these stupid awards shows that often have invites flying the other (female to male) direction. A dude may have to deal with the Oscar’s, Grammy’s, Golden Globes, Emmy’s, and others. One football game seems fair in comparison! I was originally going to do a shot called Blitz, which combined Irish Crème, Kahlua and Pineapple Juice. I was curious about how that would all go together, but the result was mass curdling, which looked disgusting. Therefore, I found this recipe instead, which was much nicer. 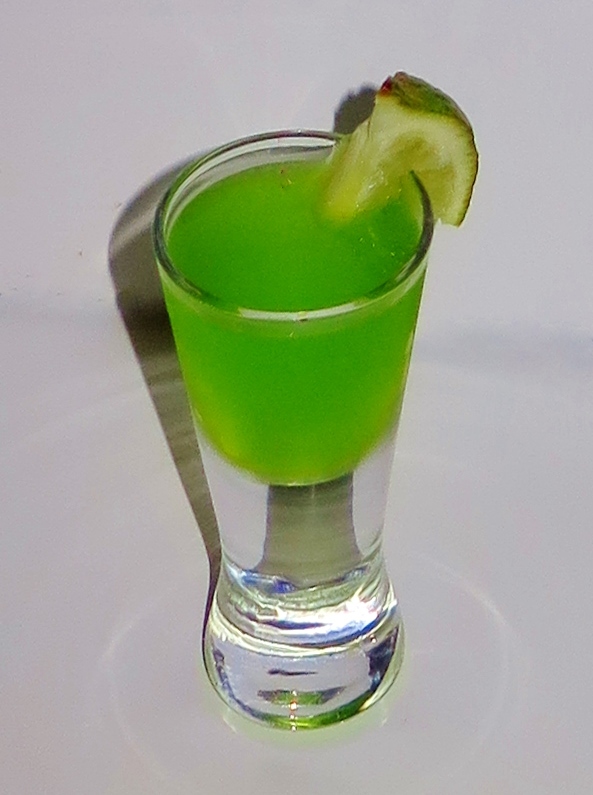 I even used my recently acquired Grey Goose Le Melon in the vodka slot and it worked perfectly with the Midori!